Yesterday was a great day for WaveRadio. 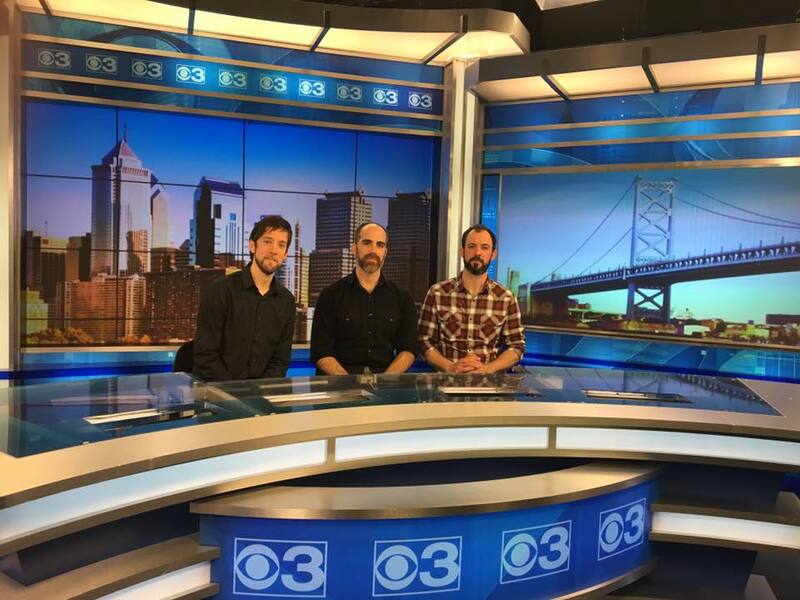 We played at CBS 3, Philadelphia, courtesy of Hearo.fm. The segment airs today, Friday March, 11th during the News at Noon, for viewers local the the greater Philadelphia area. If you’d like to see the show, but are out of range, or just away from your TV, we will post links to the clips, when we have them. Local Fall Concert w/ Glim Dropper! We Won Beta Hi Fi at the World Cafe in Philadelphia! Thanks to your support, attendance and votes, we placed in the final round at WCL where we became judges choice! Possibly the most exciting festival & conference in the tristate are, DBMC is a crucial event for fans, listeners and networking musicians. The best upcoming musicians around come through every year; the amount of talent and diversity throughout is astounding. Last year our minds were blown, as we partied and performed with many of who would become our favorite acts, and good friends within the regional and national music community. The event is held from 9/18-9/21. WaveRadio plays next Friday night 9/19 at 8:30 in The Rusty Rudder on outdoor STAGE B.